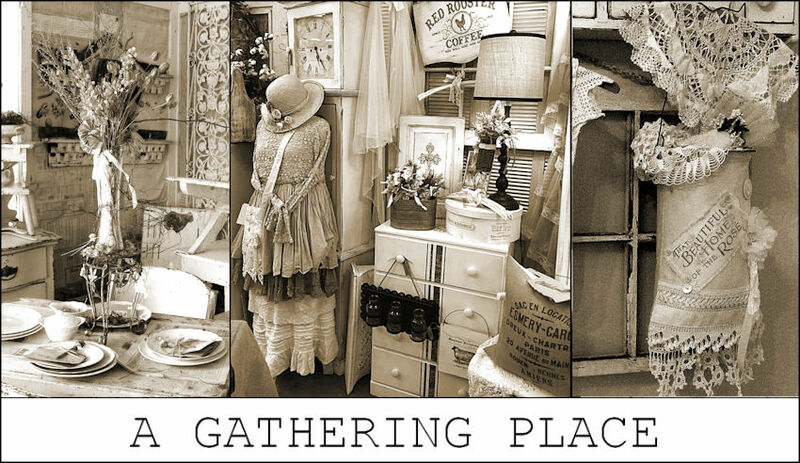 A charming reflection of days gone by! 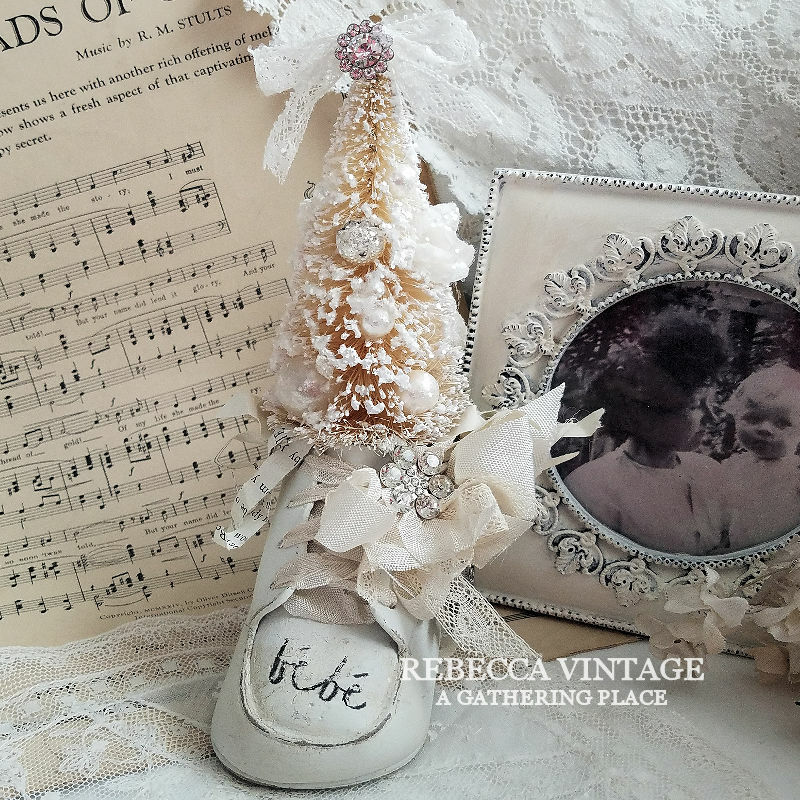 A wee little baby shoe fashioned into a precious Christmas Keepsake. 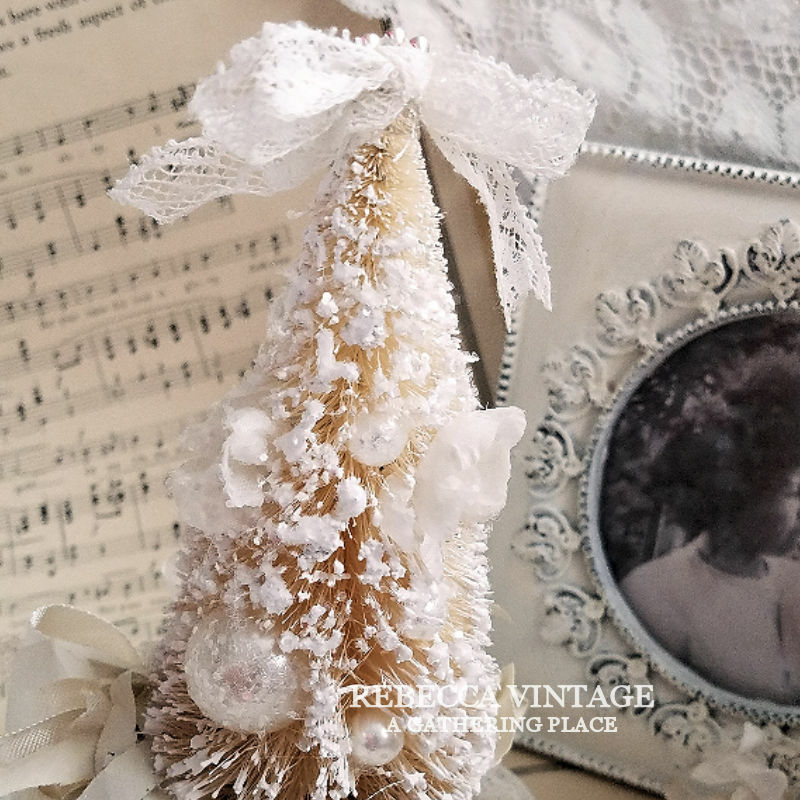 Rarely offered because of production costs...generally this type of keepsake is costly to make! But this year we just couldn't resist! Currently we have three nieces expecting babies and I guess that has put us in the mood to create baby treasures! 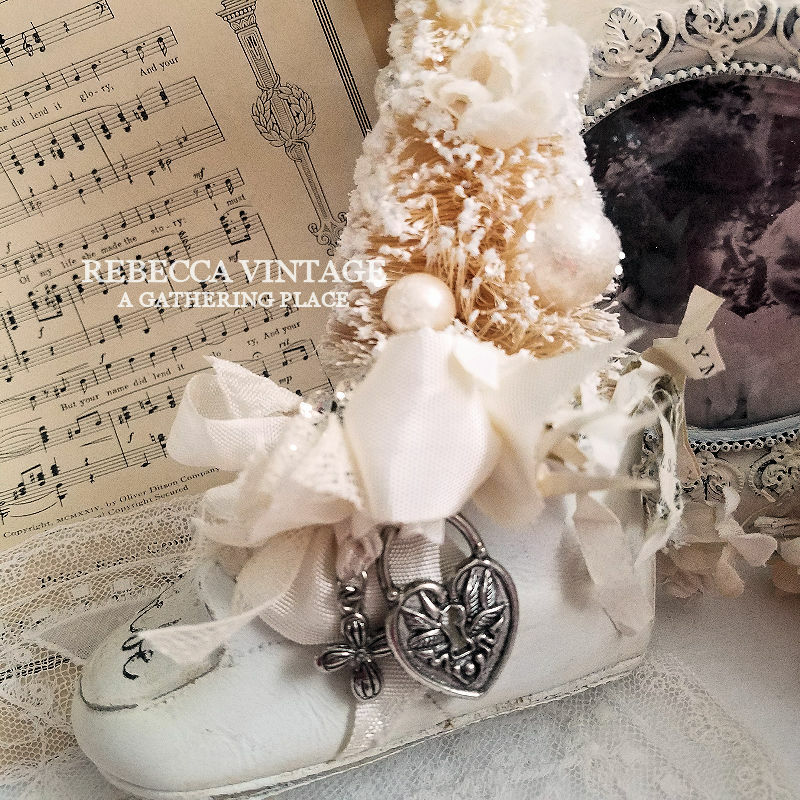 And so...we present to you in soft shades of gently aged white a charming altered art vintage leather Baby Christmas Shoe just perfect for the new baby in your life. 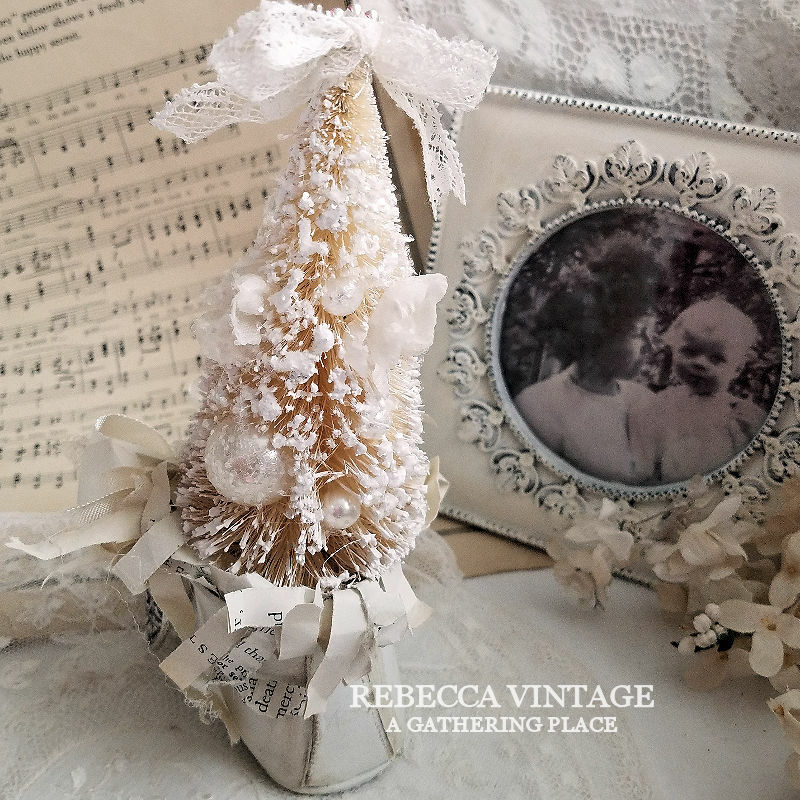 With a creamy white brush tree as the highlight of this sweet offering, it comes accented with vintage ribbon, rhinestone baubles, authentic vintage millinery blooms, glass pearls and vintage laces! A the side you'll find ruched ribbon and a pair of petite silver-toned charms. 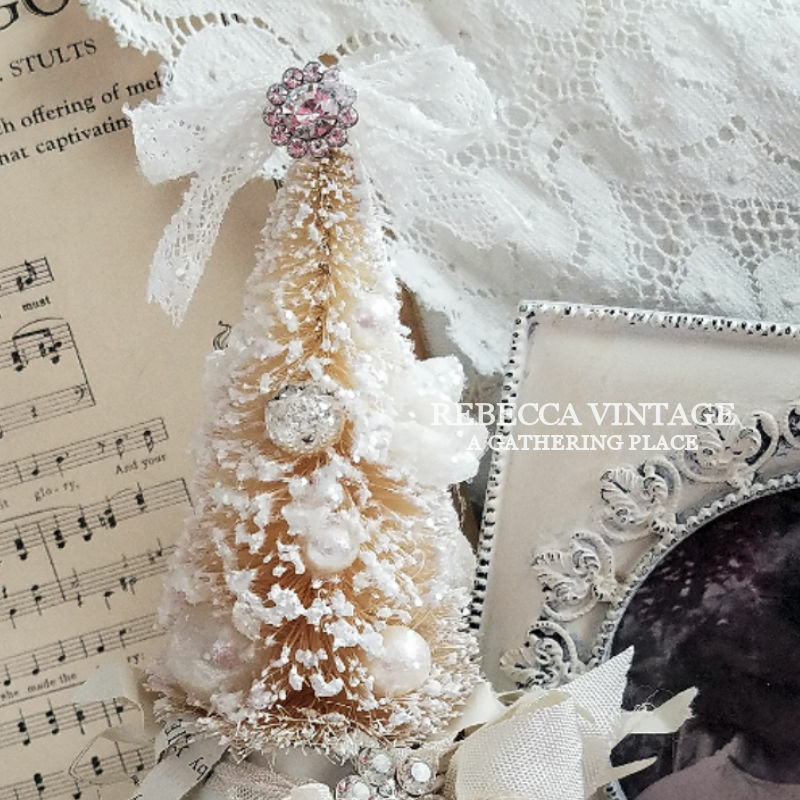 The entire tree is lightly sugared (glittered) and across the toe is Bebe'....French for baby! About 7." x 4.25" overall. Shipping is Priority Mail. No International Shipping, AK or HI unless prior arrangements have been made. This is NOT A TOY and should be kept out of reach of young children.is offered for decorative purposes only. Thank you so much for looking!